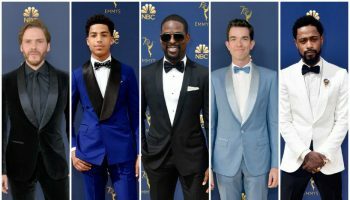 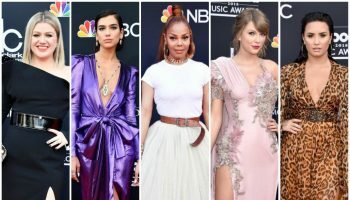 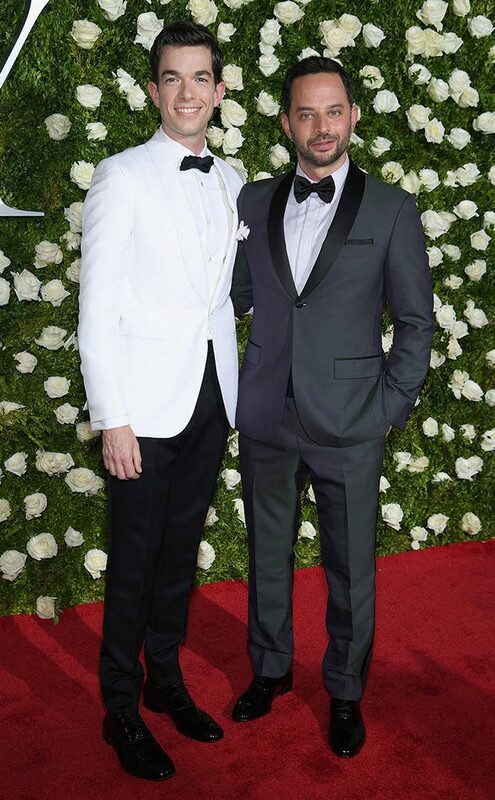 Below are some of the men that posed on the redcarpet at the 2017 Tony Awards at Radio City Music Hall on Sunday (June 11) in New York City. 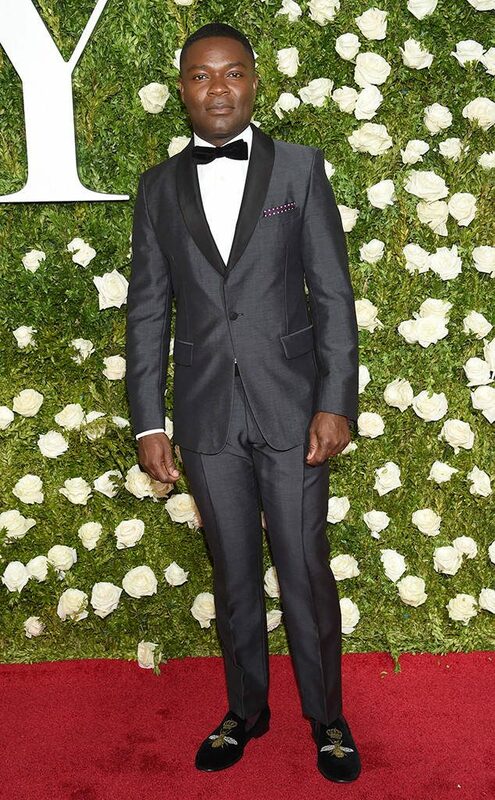 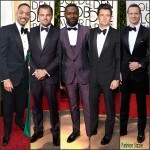 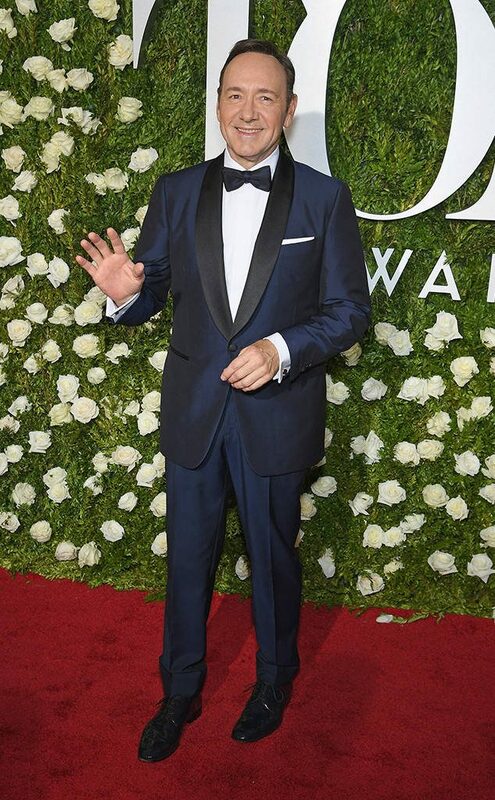 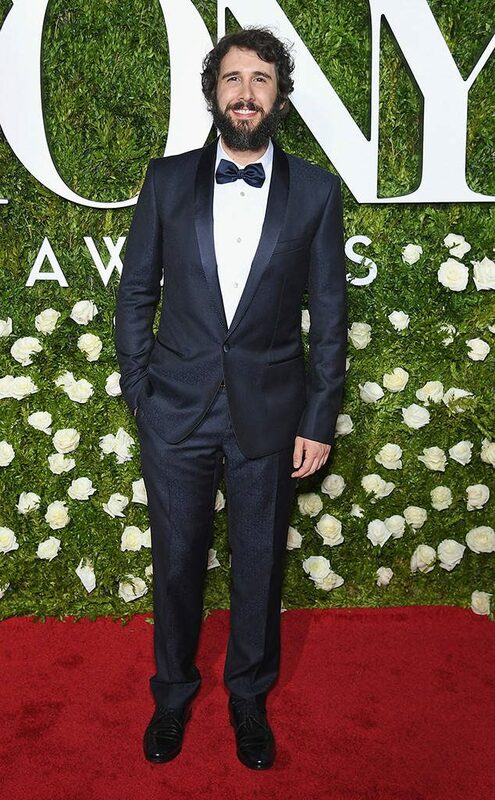 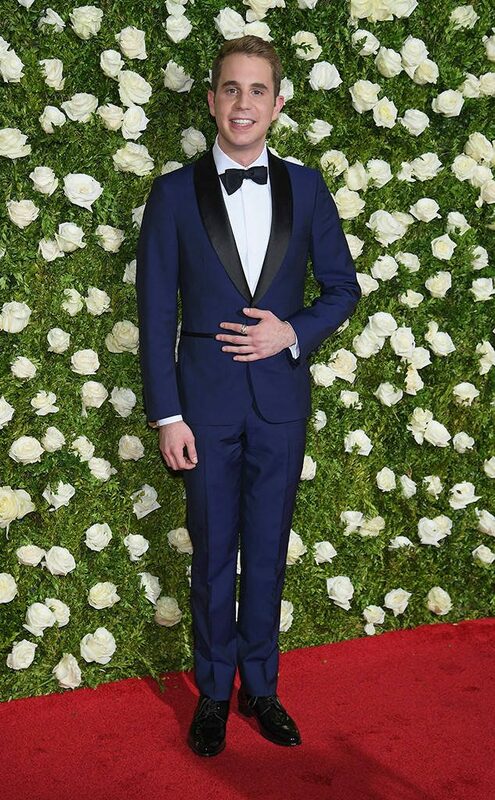 Ben Platt in a navy bespoke David Hart suit that has contrasting black lapels. 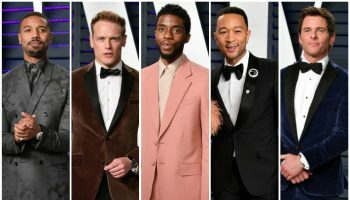 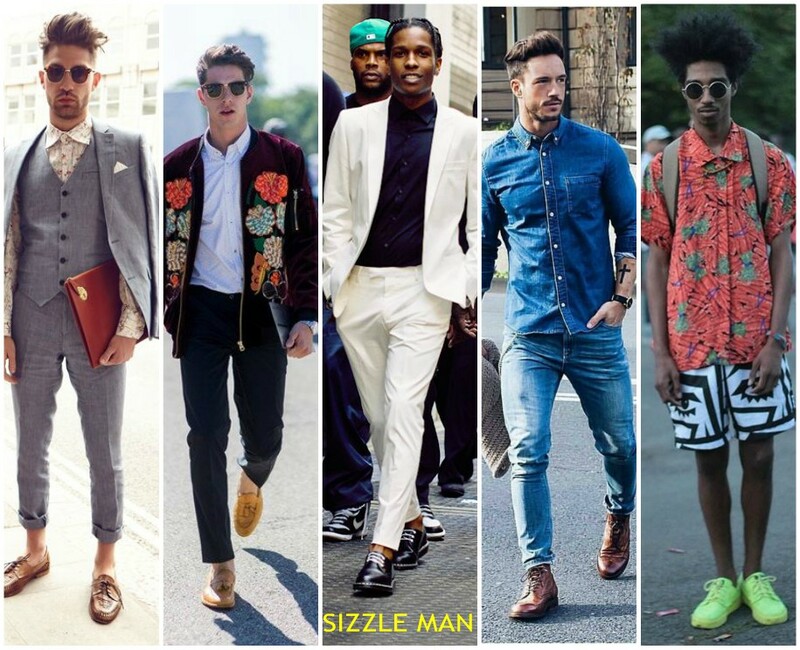 Orlando Bloom wore a Stella McCartney suit. 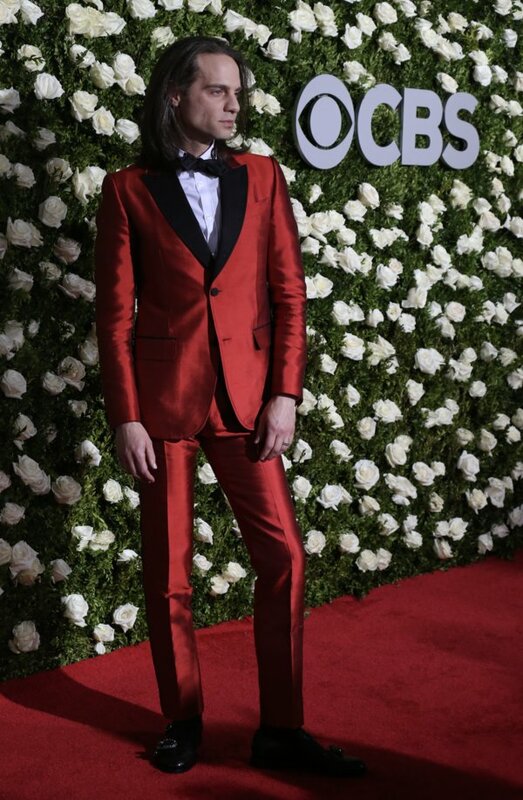 Jordan Roth wore a red Gucci Resort 2017 suit that has embellished tiger motif at the back.